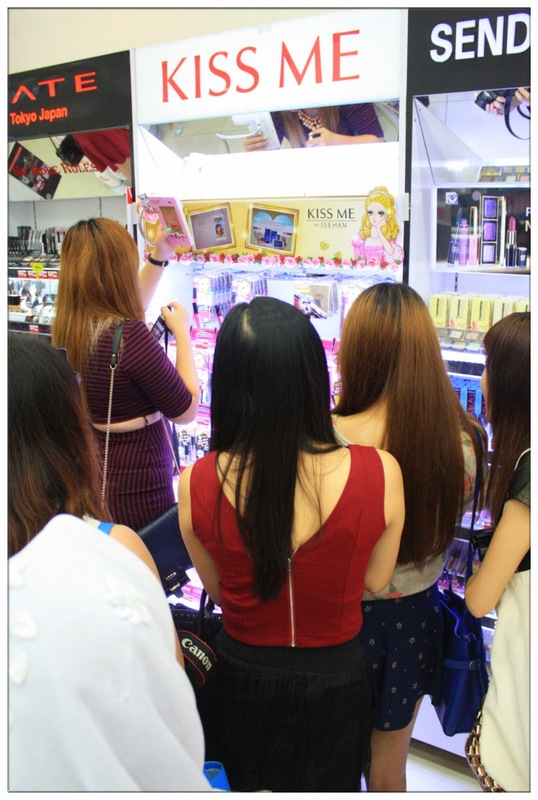 Last Saturday, saw a bunch of lovely girls standing in front of recently revamped, a more princessy look of Kiss Me counter at Watsons, Pavilion. I wonder what they are doing there. So I sneak up behind of them and take a closer look what's happening! EH!? 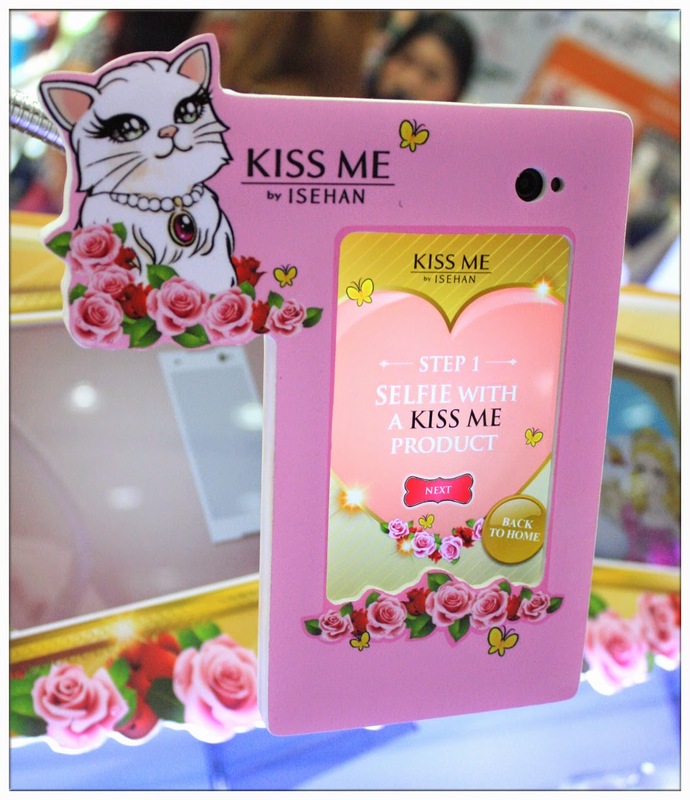 Selfie in front of Kiss Me counter? Yup! 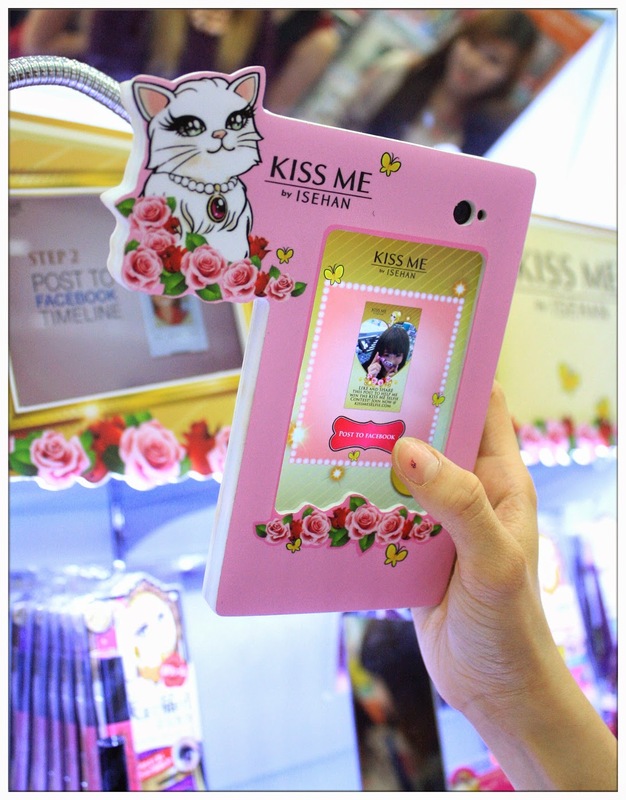 That's right, you can now doll yourself up and selfie as much as you like with Kiss Me at selected Kiss Me counter in Watsons starting this month! 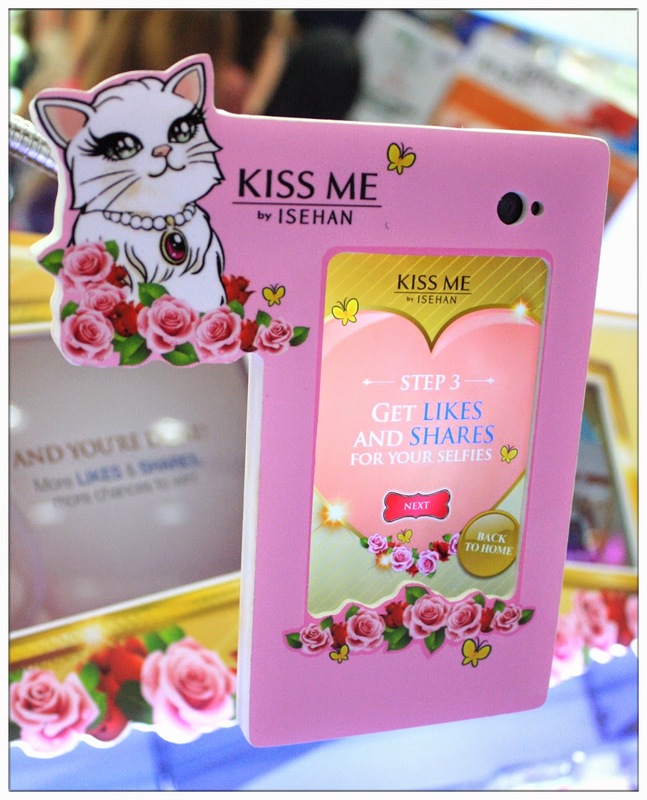 Just pose with any of your favourite Kiss Me products, snap a selfie, post your selfie on your Facebook to get Likes and Shares, and tons of awesome prizes are waiting to be won! And start getting all your friends and family members to like and share your selfie on Facebook! Find your best angle girls! 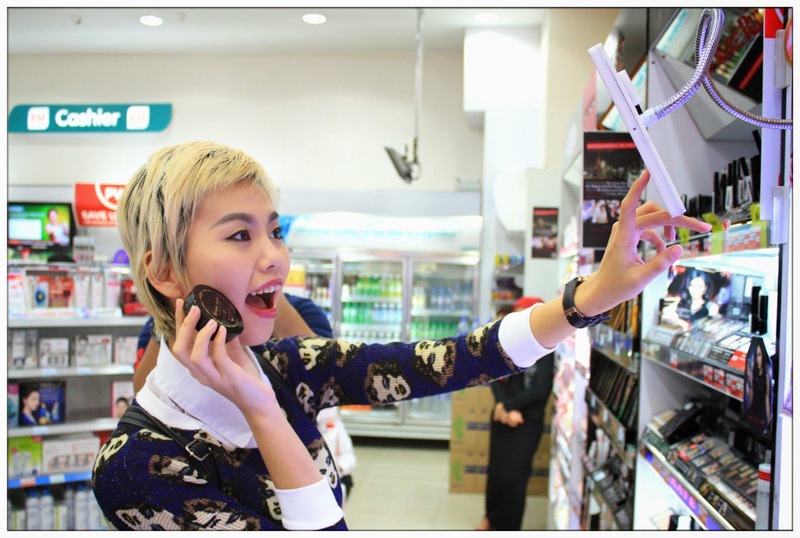 Snap until you're satisfy with your selfie! You can choose to share the selfie you took with your own device, or connect to your Facebook and post it up on the spot! 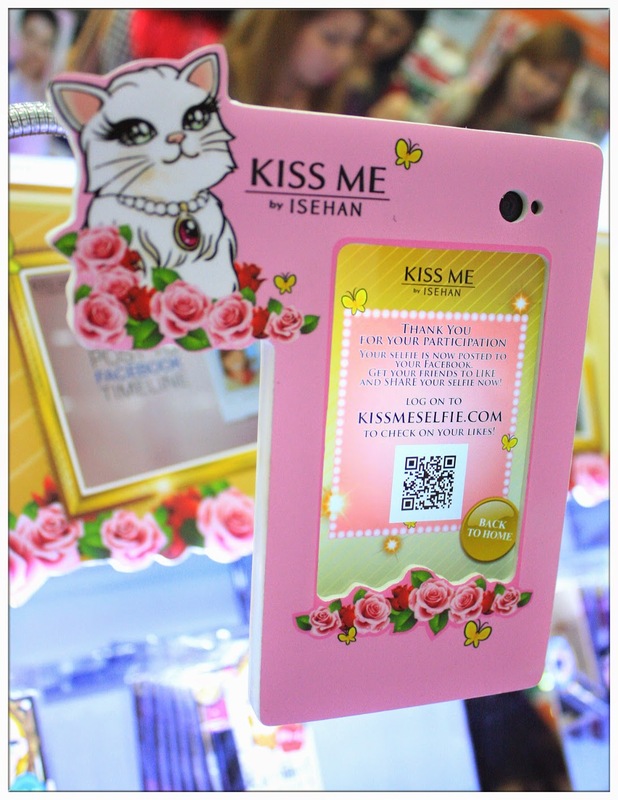 Log onto www.kissmeselfie.com and key in your number to retrieve the selfie that you took! 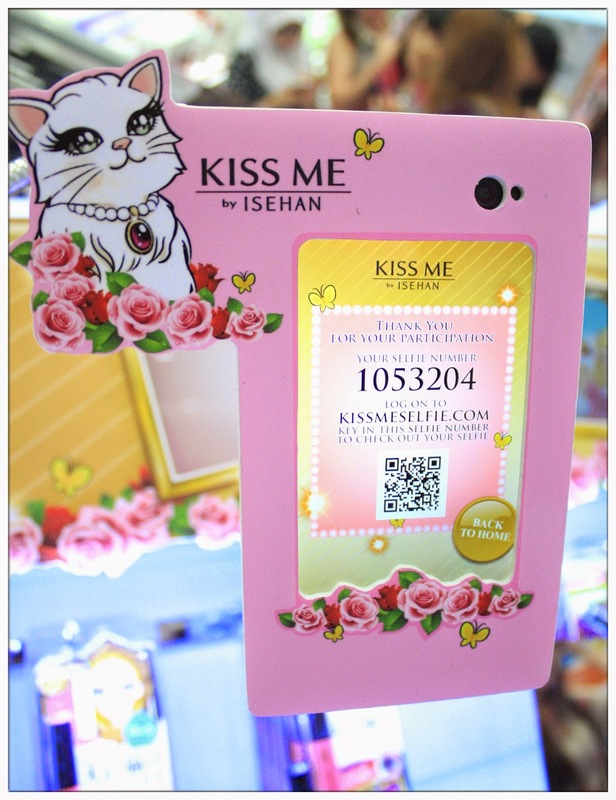 You will also get a QR Code and check the Likes you get for your selfie! That's not all. 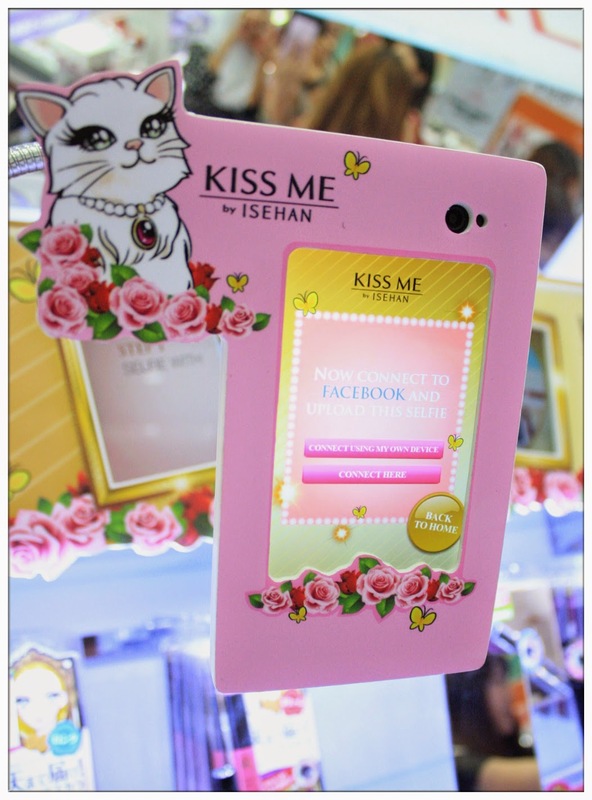 Every selfie you snap and post, Kiss Me will give you a Token of Appreciation - discount vouchers for Kiss Me products purchase on that day! 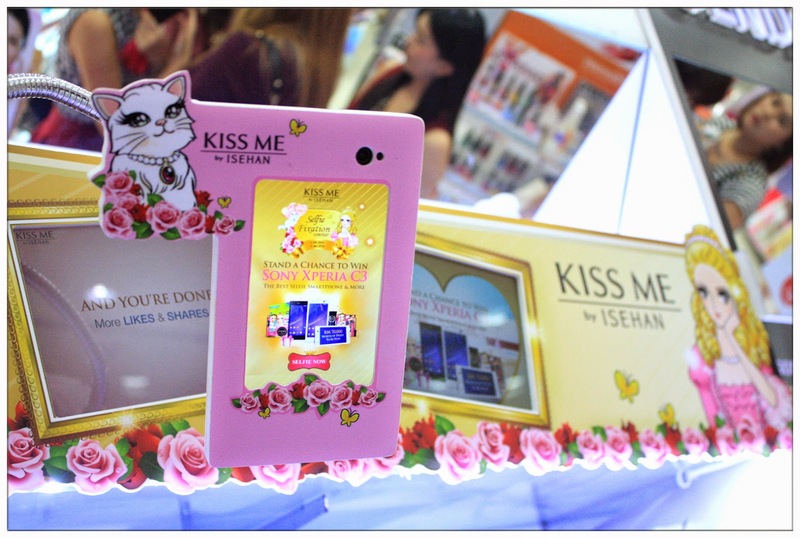 And if you purchase any Kiss Me products during the selfie contest period, take your receipt to the Kiss Me counter, write your details at the back of your receipt and you might be one of the lucky 10 weekly winners that gets to walk home with an awesome Kiss Me Goodie Bag worth RM100! Weekly winners will be choosen every week until the promotion period ends. 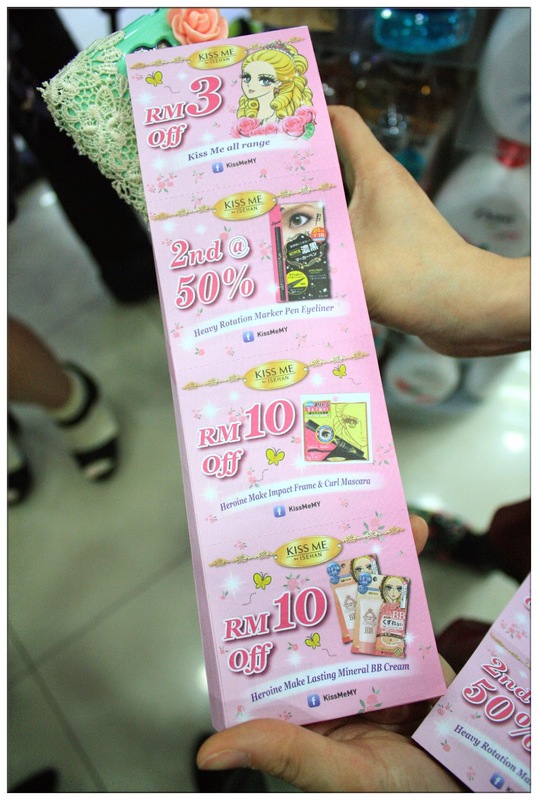 Another reason to buy Kiss Me products now! So what are you waiting for? 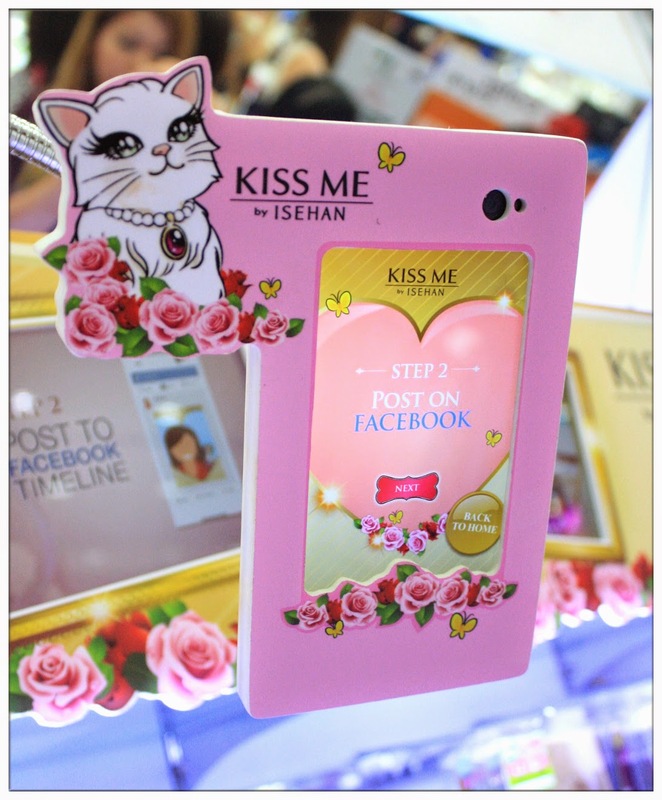 Doll up yourself and ask your bestie together and head down to Kiss Me Counter below to join the Selfie Contest! As to my blog readers, don't forget to vote for me by liking my selfie! Click Here to vote for Me! 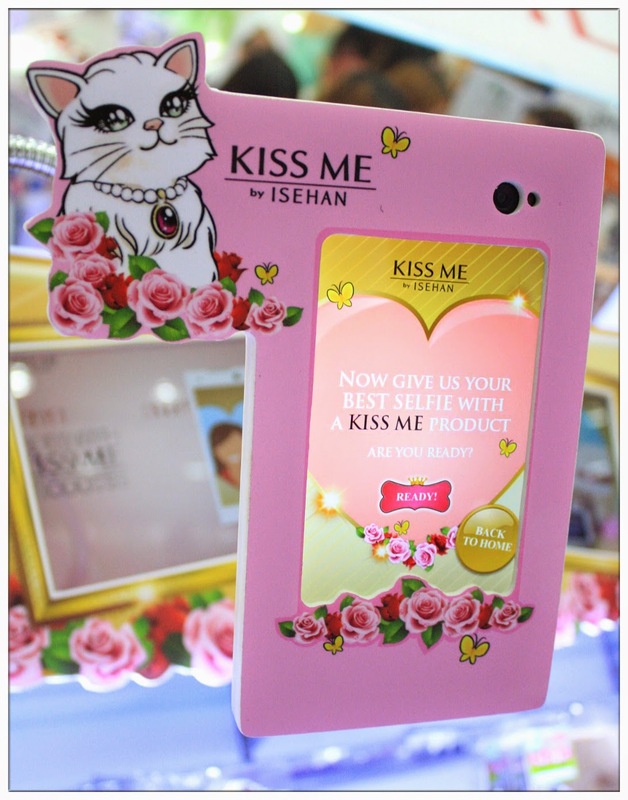 Thank you Manoah and Kiss Me for the awesome selfie experience at Kiss Me counter.